I am completely in love with this colour at the moment. I had it on my toes a few weeks back and was walking everywhere with my head down! This one is a true reflection of the colour. beautiful color!! The bottle is really cute!! You have the loveliest nails, Ash-Lilly! Perfect length and shape! This color is amazing. 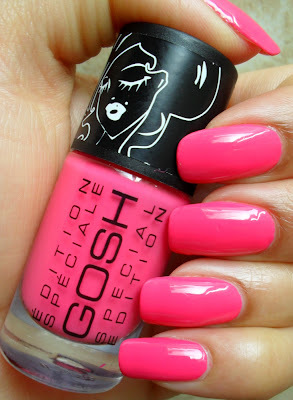 I love neon pinks and this is just amazing. So so so bright!! Thanks for visiting my blog, I hope you like what you see here. Feel free to leave a comment.